But..let us start back at the beginning. 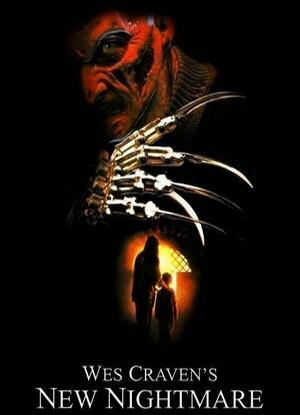 In 1984, horror director Wes Craven created “A Nightmare on Elm Street.” It was acclaimed as one of the scariest movies ever made and made unknowns like Robert Englund, Johnny Depp, and Heather Langenkamp huge stars. Ten years later, Heather is living happily with her husband, Chase, and her son, Dylan. But her life has now been turned upside down because she is being stalked by a person who sounds like Nightmare villain Freddy Krueger. Chase has just been killed in a car accident after he accidentally fell asleep behind the wheel. Dylan refuses to sleep any more, and New Line Cinema has just offered her a part in “the ultimate Nightmare.” But some other strange things have been happening, including earthquakes and Craven being tight-lipped about the script. The ultimate truth is that Freddy Krueger is actually an ancient demon breaking out into our world, but in order to do that, he must go through Heather. And he knows he can get out by harming those near her. Sound convoluted? Pretentious? Overly meta? Shockingly, no. “New Nightmare” is that rare horror film in which everything works. The performances are pitch perfect, lead by a tour-de-force performance by the amazing Langenkamp. The script is full of twists and turns and the movie is quite possibly the best looking of the entire series. What starts out as a maze of mirrors becomes something much more than your typical nightmare. The film examines the role film plays on those who watch it. Something that Wes Craven’s “Scream” would play out to great effect two years later. I really can’t say enough about this film and homages to the original are expertly placed. It is my favorite horror film of all time and a modern classic.